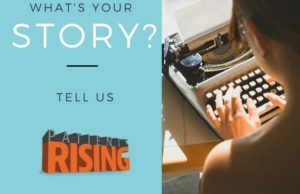 Patients Rising was formed to stand up for patients, to advocate for their rights, to help fight for the access to treatments they need and deserve, and to tell the truth about health care. We want to bring you practical news you can use. After all, healthcare represents roughly 1/5 of the U.S. economy. We have a helpline where you can tell us about your access issues or health navigation questions: 1-800-685-2654 Or email us at: AskAccess@patientsrising.org. 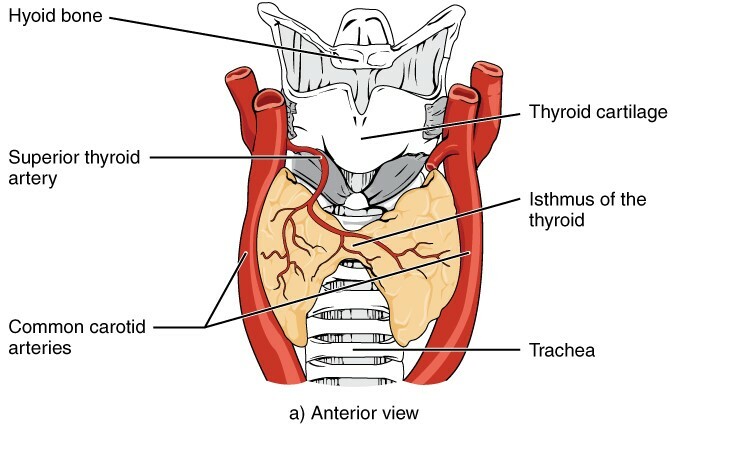 Today we’re going to talk about your thyroid and why it is so important to check it. Considering more than ½ of adults over 40 have thyroid nodules, we all need to be consistently checking and addressing any nodules we may find. Most people living with thyroid disease, once diagnosed, are living perfectly normal lives. It’s chronic illness. One thing we know for certain about chronic illnesses is that they can be expensive in both time and money. All things considered, thyroid disease is on the low-end of the cost spectrum. But, as is often the case, any sort of innovation for a disease automatically will cause those expenses to rise. Get more facts and figures here. Hyperthyroidism (hyper – thyroid – ism) refers to any condition in which there is too much thyroid hormone produced in the body. In other words, the thyroid gland is overactive. Another term that you might hear for this problem is thyrotoxicosis (thryo – toxic – osis), which refers to high thyroid hormone levels in the blood stream, irrespective of their source. When there is too much thyroid hormone your metabolism speeds up. A form of HYPERTHYROIDISM called GRAVE’S DISEASE can also cause the eyes to bulge. 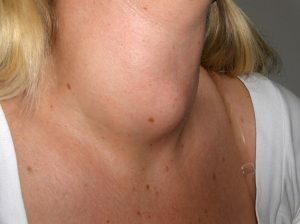 A GOITER ( GOY – TER) is an enlargement of your THYROID GLAND that is visible on the neck. Goiters may be more obvious when the head is tilted back or when swallowing. Because of that, there is an easy way to check for inflammation. The LIGHT OF LIFE FOUNDATION started the #CHECKYOURNECK campaign to raise awareness of THYROID CANCER. You can examine yourself for inflammation at home. here is a video of someone actually doing the #checkyourneck . Thyroid nodules are usually round in shape and move with the gland when you swallow. You may feel the nodule rolling underneath your fingertips or see it move when you swallow. A goiter (swelling) can be found on one side of the thyroid or on both sides. If you have any doubts as to whether your thyroid is over-producing or under-producing thyroid hormone, talk to your doctor. A blood test can easily show evidence one way or another. Remember: Be organized about your health. Have a calendar of self-exams and scheduled exams and any other things you must consistently address based on your genetics or your health history. And as we talked about last week – if you do have to schedule a procedure. Be smart. Be persistent. Do the legwork or have a trusted caregiver do it for you. Your life is worth it. Let us know what your questions are. Do you need advice? Ask us. Please subscribe to Patients Rising University Podcast and leave us a review on iTUNES or wherever you get your podcasts. Remember, we’re all patients when it comes to navigating health care. Know your options. Know your costs, and Know Your Rights. To do that, You need a compass — let us be yours. Having any chronic condition (cancer, diabetes, thyroid disease, etc) requires a lot of organization. Patients Rising University is releasing its first full web-course called “GETTING ORGANIZED” which provides very practical tools and advice for how to organize yourself after a major diagnosis.